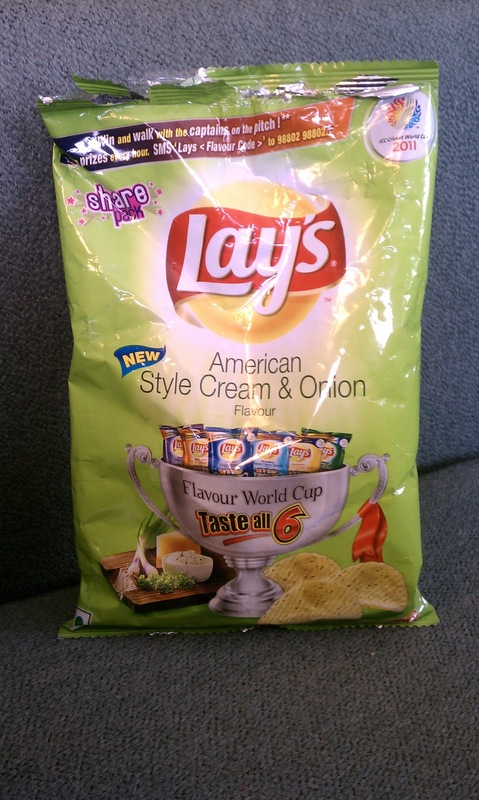 Yes, that would be cream and onion, not sour cream and onion potato chips. They do taste a lot like american style chips, but there is something not quite right about the flavor. Most countries have their own _____ and onion flavor, very often cheese fills in that blank. these chips taste like Irish cheese and onion Tayto crisps minus the MSG. There is a definite aged dairy taste, but no tangy sour flavor at the end. The stranger part of the flavor is that, if I had to pick a flavor to fill in the blank, I'd guess that they were mushroom and onion chips. I do like it though. It tastes like America.